Editor’s Note: This article is the first of a series on sustainability by Kara Anderson. Later on, we examine Detroit’s unique approach to community-side urban sustainability initiatives, which offer a compelling counterpart to those in far more affluent cities like San Francisco. Over the last 40 years, concern for Global Sustainability has risen significantly following a series of unprecedented changes to the earth’s biosphere. The most notable of these changes have been in the form of irreversible damage to earth’s atmosphere and climate and dangerous transformations of earth’s physical landscape, all of which have altered many of the planet’s life sustaining systems. Countless studies and reports conducted by independent, governmental, and educational agencies have concluded that these changes present serious threats to earth’s present and future ability to sustain life. 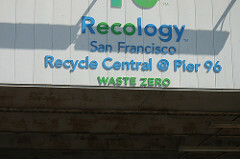 Recology is a San Francisco based company that manages the city’s composting and recycling facilities (Image by Ian Brown). The magnitude of such threats have prompted a variety of local, national, and international initiatives to prevent future damage, as well as to reverse previous damages where possible. The Paris Agreement and the establishment of national environmental commissions are but a few of these initiatives designed to a instigate a new global push towards renewable energy sources and stricter regulations for agricultural and production practices. While some of these initiatives have been relatively successful, such as Costa Rica’s shift to almost entirely renewable energy, Detroit’s Urban Agricultural movement, or even Transition Towns in the United Kingdom that look to fundamentally change how communities function, the situation has not dramatically improved, which calls into question current sustainability efforts. A central point this series will call into question is the effectiveness of current sustainability efforts by examining how the world conceives and approaches sustainability in general. The most widely accepted definition of sustainability is taken from the 1987 Burndt Commission. It defines sustainability as “Meeting the needs of the present generation without compromising ability of future generations to meet their own needs”. While this definition does not explicitly include the environmental aspect of sustainability, most initiatives associate the concept of “needs” with natural resources, and thus, the focus of these initiatives becomes overwhelmingly environmental. A majority of the initiatives that have been classified as “sustainable” in recent years have been environmentally based. There has yet to be a truly interdisciplinary approach by major national or international organisations. The United Nation Environmental Programme, The United States Environmental Protection Agency, The World Wild Life Fund, and many other supposed leaders in Global Sustainability take one-dimensional approaches towards sustainability, producing narrowly focused solutions that fail to adequately address the social, or human, components of sustainability. Organisations such as the World Trade Organisation, the Organisation for Economic Development, and the World Health Organisation justify this one-dimensional approach by asserting that focusing on a “single” and relatively specific area of interest is their primary goal. This approach, however, ignores the interrelated and interdependent nature of human systems and how supposedly “single issues” are both influenced by and dependent on a variety of other factors. Sustainability is no different. In evaluating previous efforts and models, sustainability has been treated solely as an environmental issue. Since human life physically depends on the presence of earth’s basic biological systems to provide food, water, oxygen and a place to inhabit, experts generally agree that the environmental aspect is essential to any successful sustainability model. Experts also agree that the human, or social component is just as important. The social element of sustainability addresses “human needs” that go beyond, but also include, the basic biological elements of human life, such as food, water, shelter, security, and health. The consideration of these human needs echos concerns within issues like education, war, poverty, economic inequality, human rights, access to basic nutrition, and many other social issues that are just as crucial to both earth’s and humanity’s future sustainability. Environmental conservation itself is dependent on the fulfillment of these basic human needs, as these needs affect a citizen’s ability to physically participate in environmental initiatives. Overall, this approach highlights the intricate and mutually dependent relationship between humans and their environment. A failure to fulfill these basic human needs directly impacts environmental preservation and vice versa. Newer models of sustainability have redefined sustainability as a series of “social and economic developments that protect and enhance the natural environmental and social equity”. This definition explicitly highlights the importance of the social-environmental relationship. The central focus of these new models is the creation of more integrated systems at each level (local, national, international) to ensure that all components of sustainability are met. This new understanding has prompted many local organisations and municipal governments to rethink their own sustainability models, such as San Francisco. In 2009 saw San Francisco begin its ambitious journey of converting itself into a Zero Waste city by 2020. The San Francisco Mandatory Recycling and Compost Ordinance requires residents and businesses to sort their waste into three categories: recyclable, trash, and compostable. The goal of this Zero Waste initiative is to reduce, and ultimately eliminate, waste being sent to landfills and incinerators. Instead , the city reuses and repurposes citizen waste, most notably in the form in the form of compost, that is then sold to local farmers and vineyards in the region. Since the project began, San Francisco has doubled its recycling rate and diverted 80% of its waste from landfills, and these numbers are still rising. While San Francisco’s sustainability model appears to be another environmentally based initiative, a closer examination of the model reveals a systematic and multidisciplinary approach that integrates the various sectors and individuals of the city in a community wide initiative. At the root of this initiative is the development of a broader and community-wide goal to reduce waste, which then manifested into the more tangible goal of becoming a Zero Waste city by 2020. While the motives of this goal are inherently environmentally based, it also reflects an understanding of the intricate relationship between the social and environmental aspects of sustainability. A cleaner and more environmentally conscious city improves citizen health, promotes local businesses, reduces poverty, attracts external investment, upgrades infrastructure, raises living standards, implements new community programs, generates pride and community throughout the city, and leads to an overall higher quality of life for citizens. Following the establishment of this community-wide goal, San Francisco then began to develop and implement a series of initiatives, which relied on all sectors of society, to reach this goal. These initiatives implemented policy, economic, and structural reforms to many municipal and non-municipal systems, while requiring investment in new technologies and facilities. The development of new community education and engagement programs were also warranted. While these various initiatives only relied on support and assistance from the various sectors and individuals of the city, they also sought to support the involved sectors and individuals through the projects themselves, creating a mutually beneficial relationship that has encouraged wider community action. One of the most notable examples of how this relationship functions can be seen through the city’s composting initiative. The city sells the compost it creates to local farms and vineyards at reduced prices who then use the compost to grow products that are funneled back into the local community. 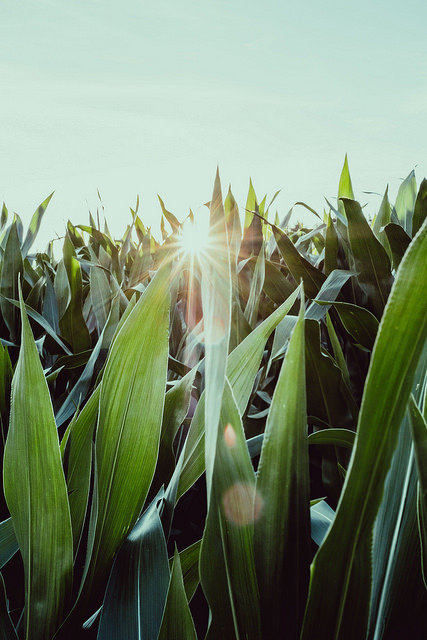 The positive effects rendered are reduced carbon emissions in the food production process and a boost in the local economy given a cut in production costs. Many of these farmers have also started using this compost to grow cover crops, or crops that remove carbon from the atmosphere and return it to the soil. Beyond the demonstrating the importance of creating a mutually beneficial relationship at the social level between intuitions and individuals, San Francisco’s initiative also demonstrates how the creation of effective social initiates leads to the development of beneficial environmental initiatives, reinforcing the importance of the social-environmental relationship. San Francisco’s initiatives and overall model of sustainability represent a fundamental shift in how the world understands sustainability, most notably through its recognition of sustainability as more than just an environmental issue. By recognizing sustainability as a multi-faceted issue that requires the coordination of all aspects of sustainability, San Francisco, and many other cities, have balanced their models by effectively integrating the social, or human, aspect of sustainability, and its relevant implications. In contrast to previous models, these newer models emphasize how the social component directly affects the environmental component of sustainability, and vice versa. This new emphasis thus addresses the intricate and interdependent relationship between the social and environmental aspects of sustainability, which is fundamental to the creation of a successful sustainability model. San Francisco’s model thereby creates a mutually beneficial relationship between the two aspects that has fostered unprecedented developments and made San Francisco a global leader in sustainability. Kara Anderson is an undergraduate student at McGill University pursuing a joint honors degree in Hispanic Literature and Latin American Studies. She specializes in postcolonial studies in Latin America, focusing primarily on Mayan Women in Guatemala in the current post-war era. A major part of her research thus centers around sustainable development, at both the communal and individual level, in the region; thus, her journalistic pursuits have sought to address this theme. More generally, Kara tends to cover issues relating to Latin America and its people, which includes questions of migration and refugees.